For more than a century, law schools have trained students to 'think like a lawyer'. In these times of legal crisis, both in legal education and in global society, what does that mean for the rest of us? In this book, thirty leading international scholars - including Louis Assier-Andrieu, Marianne Constable, Yves Dezalay, Denise Ferreira da Silva, Bryant G. Garth, Peter Goodrich, Duncan Kennedy, Martti Koskenniemi, Shaun McVeigh, Samuel Moyn, Annelise Riles, Charles F. Sabel and William H. Simon - examine what is distinctive about legal thought. 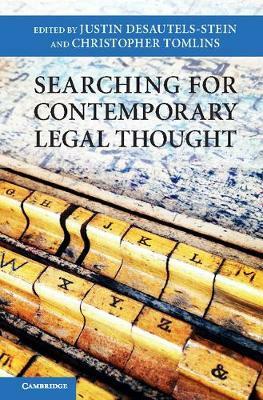 They probe the relation between law and time, law and culture, and legal thought and legal action; the nature of current legal thought; the geography of legal thought; and the conditions for recognition of a new 'contemporary' style of law. This work will help theorists, social scientists, historians and students understand the intellectual context of legal problems, legal doctrine, and jurisprudential trends in the current conjuncture.